Ellis Fox > Blog > Partner With Us > What’s in a name? Shakespeare aside, wordplay when describing roles in recruitment can get fairly interesting. The question is; Does a job title make a difference to attracting top candidates? Is it about the role, or do people still value a business title that attaches to it a certain level of status? Here’s something to think about: Would you rather be called an Operations Director or Head of Operations? As much as the second job title is more descriptive, it doesn’t give one the same impression of authority. 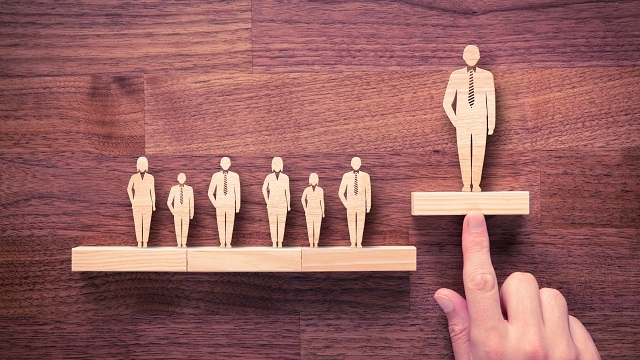 Research reflects that including the term Director for top management roles is far more likely to attract candidates. It seems status holds onto tradition after all. What do job titles say about your organization? The reality is that there is a major skills shortage in the construction industry and as a result top candidates can afford to be choosey. How you describe a role can play an important part of attracting the right people. Having said that, having ‘Director’ job titles that hold no real authority is only going to cause confusion and disappointment. Be sure that the title you choose is a realistic description of the role. While the construction industry may be very traditional, the workforce is changing. People are looking for more dynamic working environments where they can gain specific skills and knowledge, and be part of something significant. Whether this something significant is a high profile project, a new technology, or a new approach to construction will depend on the individual. But what is important is for contractors to realise that this is what they need to be focusing on if they want to be a company that skilled and dynamic people want to work for. It is agile, forward thinking companies, those willing to take the lead in new technologies that are most likely to attract innovative thinking talent, particularly in the younger generations. Creative job titles can indicate to candidates that this is a company that is open to new ideas. For a candidate, especially in management, that is something that can be particularly attractive. Forward thinking people want to be able to use their own initiative and oversee the implementation of new ideas, which means they want their job titles to carry real authority. Think carefully about what you want and the type of person your company needs, and then write a job title to attract them. If you need help with this, give us a call. We recruit for the top 50 main contractors. Next post: Skills – Are things about to get worse?